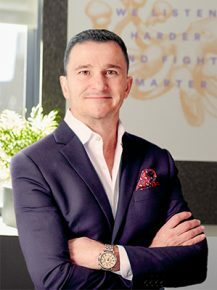 As Global President, John is responsible for crafting the vision and spearheading business development across MullenLowe Mediahub’s eight major hubs around world. He has built an international operation that focuses on putting creativity at the core of every media solution as consumers become more skilled at throwing out unwanted messages. MullenLowe Mediahub recently launched the R+D (Radical & Disruptive) Lab, which is a dedicated media creative group that co-creates content with avant-garde media companies. Their work with Challenger brands has won numerous awards including Effies and Cannes Lions. John has also built out a dedicated entertainment discipline to lead brands such as Netflix, Viacom, Global Road, and PBS. This year, Adweek recognized his success by naming him Media Executive of the Year and honored MullenLowe Mediahub as its 2018 Media Agency of the Year. In a rare move, MediaPost called out MullenLowe Mediahub as its Creative Media Agency of the Year for both 2016 and 2017. John was also named one of 18 Media Mavens by Advertising Age in 2010. He has been in the advertising business for over 25 years and has worked on numerous high-profile brands, including General Motors, Wendy’s, Converse, Whirlpool, H&R Block, Monster.com, and Match.com.